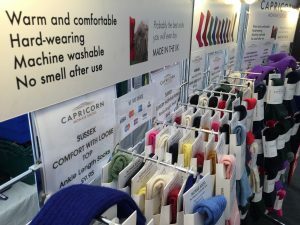 As we approach Christmas 2018 you will find Capricorn Mohair Socks at a number of shows, please do come along and say hello. 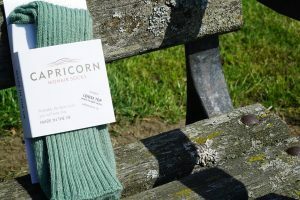 Where can you find Capricorn Mohair Socks as we approach Christmas 2018? 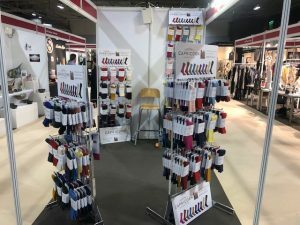 Since we rebranded Capricorn Mohair Socks and brought in so many new colours we have also been attending a number of trade fairs so we can sell our socks to other retailers. Here are some pictures from the Scotland Trade Fair in Glasgow last month. Capricorn Mohair Socks at Svalbard, 600 miles from the North Pole. Many thanks, Paul for your review. Heading into winter, sock weather is upon us with temperatures starting to dip. Now is the time to stock up with those warm cosy socks. 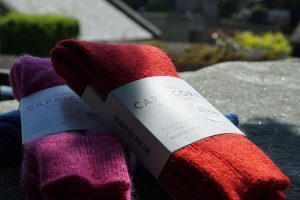 Whether it be lounging around the house on a cold winter day, or for braving the cold wrapped up for outdoor activities, we have a pair of socks to suit your requirements. We are delighted with the feedback we have had regarding our new branding and website. It is always nice to hear positive things about our services and our products, but don’t just take our word for it, see below for some of our recent feedback and reviews. 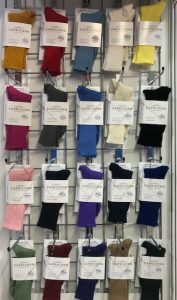 Should you have any questions about our socks then please do not hesitate to get in touch with us. Terrifically warm without being too bulky. I suffer from cold feet and I find that the Ayrshire sock also doubles as a terrific bed sock. You don’t need to keep them on in bed for too long just wait until your tootsie’s are like toast and then you can take them off!! I bought these socks for days when I was slobbing around the house and to keep me cosy in bed. They stay up well despite being loose top and I have been wearing them as a boot sock as I like them so much. I don’t buy anything apart from mohair socks now as they are just so comfortable. I am diabetic and cannot stand seams that rub on my feet and toes. They are just as good as other more expensive UK brands and bigger and more accurate sizes than the ones I have bought from abroad. I love the colours as there is a good mix of more sober colours but also some brighter ones on days you just need a pick me up. Bought a pair of Derbyshire socks to see what the fuss was about. They’ve exceeded my expectations: like walking on air; worn for a week and still smelling fresh; feet feel just the right temperature. I’m sad to take them off at the end of the day. All my other socks became tight, hot and heavy overnight—planning on replacing the lot with Capricorn socks. The very best sock I have ever worn in over forty years of outdoor activities—I have finally found the ideal socks for warm, comfortable, blister-free walking, cycling, sailing, microlight flying, and myriad other adventures. When the soft cushion effect of the loop pile stitch eventually fades after many hundreds of miles walking the socks remain warm and cosy for other activities. 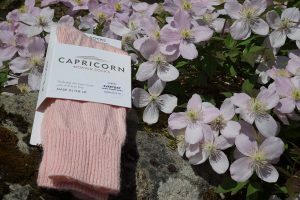 I am so pleased that Capricorn responded to our request to make purple socks—they are still our favourites, we have around 20 pairs in that colour and a few pairs in other colours, too. I was given a pair of these some 15 years ago, I have purchased many more pairs since they are so good. 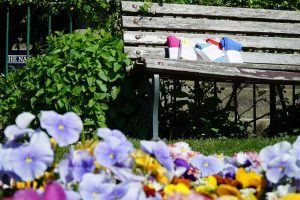 they are long lived, keep their shape and remain comfortable to wear. 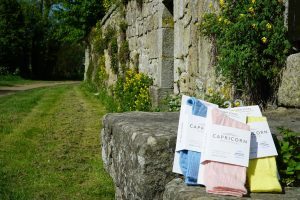 Over the coming weeks, you will find us at varies shows and markets selling our Capricorn Mohair Socks. Don’t forget you can buy all our socks on our website here. 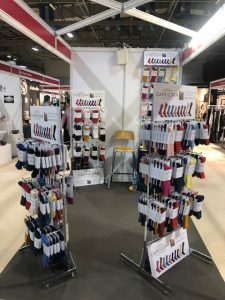 Below you can see a small number of our product videos, you can see them all on each product page they relate to, just click on the ‘video’ tab when looking at any of our sock styles. Over recent years many people have changed the footwear they go walking and hiking in. 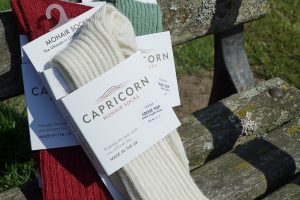 Here at Capricorn Mohair Socks we have adapted our socks for this change. With Mohair being a straight fibre there is no better sock to walk in, there is nothing to trap the moisture in so any moisture flows away from your skin alleviating the risk of blisters which are formed by friction and your foot being wet. 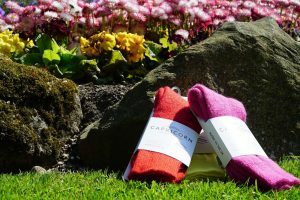 Also with Capricorn Mohair socks not smelling after use you can wear your walking socks day after day, even if you do want to just quickly rinse them through at the end of the day they will quickly dry so you can put them back on the following day. Our Ayrshire socks are most suited to walking trainers and trail shoes. They are thin, have a very high percentage mohair and they also have 1 ½ % lycra in to give them some extra stretch that this type of footwear requires. A great thin walking sock for all seasons. For walking boots, we have both long and angle length walking socks that are looped from top to toe. Our ankle length walking socks are still that little bit longer as they are to be worn with a boot and our long walking socks are ideal for those wanting to wear when climbing or winter walking. Hi, I bought my first pair of Capricorn socks whilst glamping in Northumberland. The following year we went glamping in North Yorkshire near Osmotherly. There was a ford across the road down to the village . My husband went off to the side to take a photo of me and my grandson and we both waded across the ford. The water was up to our ankles and my husband asked what we were doing. “Crossing the ford “ I replied. “Why? There’s a bridge here” he said. I am a real townie and genuinely thought you just had to wade across. Fortunately, I was wearing my Capricorn socks and they dried out in super quick time and didn’t feel uncomfortable at all. My grandson thought it was hilarious. As you know I have been buying your Ayrshire Mohair Socks ever since you took over the Capricorn Brand and have not worn anything else. I have been a type 2 diabetic for many years, good blood circulation in the feet is very important for diabetics. I find mohair socks stimulate my circulation and easily absorb any moisture that may occur. I would strongly recommend all diabetics to try them. 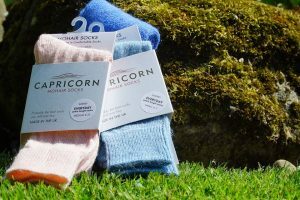 Bill Shacklock , Nottinghamshire – I recently bought two pairs of your socks for outdoors wear and am delighted!